In 2014, the Graduate School of Education and Counseling is proud to be celebrating 30 years of working in schools, agencies, and communities to help young people and adults realize their full potential. Lewis & Clark has a long tradition of preparing students to serve the public good as educators and counselors. For nearly 150 years—beginning in the college’s earliest days as Albany Collegiate Institute, located 71 miles south of Portland—Lewis & Clark has prepared students for careers as public school teachers. By 1947, education offerings had evolved to include training at the graduate level. A century after the college’s founding, in 1972, Lewis & Clark added graduate programs for mental health counselors and school counselors, responding to a growing demand for highly qualified professionals in these fields. 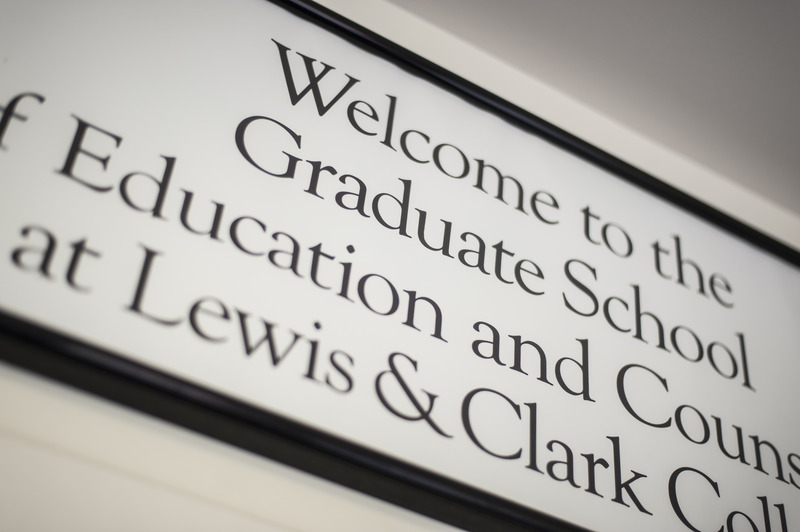 In 1984, the graduate school was born, providing for the first time a dedicated home at Lewis & Clark for graduate programs in the helping professions. In 2000, the college purchased the 18-acre historic Corbett estate, which became the graduate school’s permanent campus. Since 1984, the school has issued master’s, educational specialist, and doctoral degrees to over 6,500 educators, counselors, and community leaders. Last year, our students spent over 220,000 hours working in schools and mental health agencies. Each of our students and alumni impacts dozens of individuals and families every year, their work rippling out to change the lives hundreds, perhaps thousands, of people over the length of their careers. Today, the graduate school’s diverse programs share a common commitment to equity, diversity, social justice, and service to others.